Rev. & Sis. 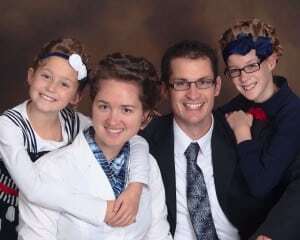 G. Frank Vandevender arrived in Medford, Oregon on Thanksgiving Day 2010 to begin a new church, Medford Life Church. This new church set in motion the fervor for people to be brought into the Kingdom of God. The first service at Medford Life Church was January 2, 2011, meeting at the Medford Library. Six months after its opening, Rev. & Sis. Joshua Vandevender moved here to assist in moving the new church forward. 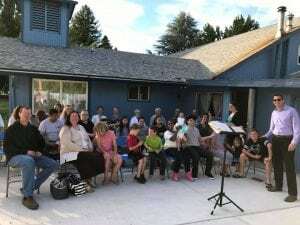 From the Medford Library location, the congregation has moved twice to accommodate church growth. In July 2014, Rev. Joshua Vandevender became the Senior Pastor and Bishop G. Frank and Sis. Vandevender continue to be a vital ministry to Life Church. Thank you for taking time out of your schedule to visit our website today. We truly feel it is our privilege to have you visiting and welcome you to come visit our church and be our guest. You can enjoy the sweet presence of the Lord as we sing songs to adore Him, as we worship to praise Him, and minister in His name. We welcome you to participate in the service and feel free to lift your voice, lift your hands, and lift your heart to Him as you feel the presence of God. We encourage you to consider becoming a member of our church family as we reach out to our community and our world. The scripture teaches us that God gave His beloved Son that we “might have life and have life more abundantly.” Let us enjoy this life and the life to come – together. Medford Life Church is known for the love we have for one another, our worship towards God, and our love for life as we live it wholly for God. We offer anointed teaching, preaching, singing, Sunday school, Youth gatherings, Ladies Ministry and true fellowship. If you are looking for a place you can worship the one true God and find deliverance, acceptance, and love, you have found the right church. 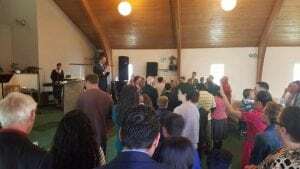 Medford Life Church is a church striving to become a 21st Century Apostolic Church. We are founded upon the belief that the Bible is the inspired, infallible Word of God. We believe there is only one God (Deuteronomy 6:4 ). He is the Creator of the heaven, the earth, and all living beings. He has revealed Himself to humanity as the Father (Creator), as the Son (Saviour), and as the Holy Ghost (indwelling Spirit). Rev. Joshua Vandevender has ministered for over fifteen years. He attended IBC (Indiana Bible College) where he met his wife, Jolene. He obtained a BS (Bachelors of Science) from Indiana Wesleyan University and holds his General Ministerial License with the United Pentecostal Church International. Rev. Joshua Vandevender began his ministry under the direction of his father, G. Frank Vandevender at the tender age of fifteen. 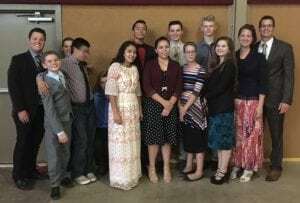 Since beginning, he has assisted with starting three home mission’s works as well as youth pastored in Grand Junction, Colorado under the ministry of Rev. Dennis West. He then moved on to pastor a church in Linn, Missouri for two years before moving out to beautiful, Medford, Oregon; where he has resided since 2011. His wife, Jolene Vandevender, holds her BS (Bachelors of Science) from Indiana Wesleyan University as well. She enjoys helping her husband lead the praise and worship team, teaching, organizing events and is the acting pianist for Life Church. Rev. Joshua and Jolene Vandevender have been married since 2002 and have two beautiful daughters. Rev. G. Frank Vandevender has ministered for over 35 years and has established three new churches as well as pastored eleven churches total. Currently, Rev. Vandevender is Bishop at Life Church in Medford, OR. He holds a degree from Conqueror’s Bible College, as well as an MTh (Master’s in Theology) from Twin Cities University, an MSM (Master’s in Business Management) from Indiana Wesleyan University, and is an ordained minister with the United Pentecostal Church International since 1985. One highlight from Pastor’s life – Rev. G. Frank Vandevender had the opportunity to tour Israel in 2000, which was a lifelong dream. He was called upon to offer prayer in the Garden of Gethsemane. Kathleen Vandevender holds her MSM (Masters of Science in Management) as well as her MBA (Master’s of Business Administration). She enjoys writing, singing, and has years of experience teaching adults, ladies, youth, and children the encouraging truths of God’s Word. She loves to spend time with her children and grandchildren. 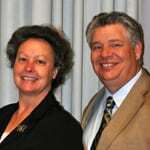 Bishop and Kathleen Vandevender have been married since 1975. 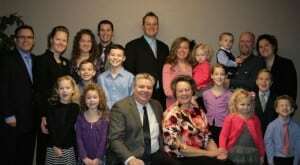 They have four children and ten grandchildren who are all being used in the Kingdom of God. We understand there are times when things come up, such as sickness or work schedules, but we all should make it a priority and a goal to be in church at every possible opportunity. Great things happen at church! Life Church is a part of the United Pentecostal Church International. The United Pentecostal Church accepts only the Bible and the Holy Spirit as its guides to determine the correct standards of conduct in this world, and it recognizes the responsibility to apply biblical principles in a changing world. Neither the Bible nor the United Pentecostal Church International teaches that salvation can be earned by good works, but both contend that holiness in behavior results from a transforming experience of the Holy Ghost, and is therefore incumbent upon each Christian. The church has an obligation to establish standards of conduct when necessary, but it refuses to make rules for every aspect of daily living. Each Christian is responsible to God to maintain holiness in his or her life, for God alone is the judge, but the church is also responsible to teach biblical standards of holiness. Holiness as a spiritual experience and a way of life, and is not an option for a Christian but a biblical injunction. (II Corinthians 7:1; Romans 12:1-2; John 17:14-16; I John 2:15-16; Ephesians 5:11).